I have never enjoyed running. I’ve done it as an occasional complement to cycling (especially in preparation for cyclocross in the fall), and as a way to spend quality time with my wife, who actually likes to run. The thing I don’t like is the feeling of running. I know it’s about as natural a form of exercise as there could be, but it doesn’t give me the sense of smoothness and efficiency that I get on the bike. Some people have low arches. I have no arches. More than one podiatrist, upon seeing my feet, has said, “wow”. These are not the feet of a runner. They were meant to be hidden inside stiff, carbon-soled cycling shoes. Despite all this, I’ve always wanted to like running. It’s a much better workout than cycling for a given amount of time. In fact, I’ve lately been running during my lunch hour on days when I know I won’t have the opportunity to ride. Plus, Kelley and I occasionally like to put Caleb in the baby jogger and pound out a six-mile route around downtown Wauwatosa. 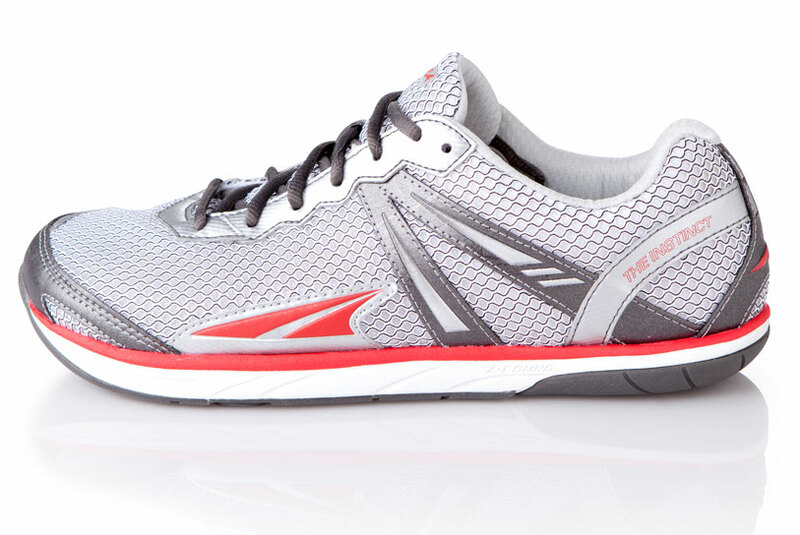 I’m a confessed gear junkie, so the one dimension of running that appeals to me is the shoes. When the Journal Sentinel ran a story about Revolution Natural Running Center, a “natural running” shoe store that recently opened in Wauwatosa, I was intrigued. I paid them a visit a couple months ago and spoke with a guy named Hans. He was very friendly and enthusiastic, and didn’t have any of that “I’m smarter than you” attitude that you often see in specialty stores. I described my feet and my history with running, and he had me run on a treadmill in a variety of different shoes. I left with a pair of Altra Instincts. They are considered a “zero drop” shoe, which means that the thickness of the sole is the same under the heel as it is under the forefoot. This aids in a more natural midfoot strike. The shoes and the technique Hans recommended (shorter strides, more upright posture) have transformed running for me. I’m running with far less discomfort – both during and after my run. In fact, my third time out was a 10-mile run with Kelley. It’s probably been five years or more since I’ve run that far. I was tired when it was over, but not sore, and I felt fine the next day. Thanks for helping me to enjoy running, Hans. Your store is aptly named.